The Biomedical Engineering department prides itself on the diversity of it students – hailing from all areas of engineering and from the physical, chemical and life sciences – and their passion and drive. Students can do experimental or theoretical research or a combination of both, and there are possibilities for research in hospitals and in the field. 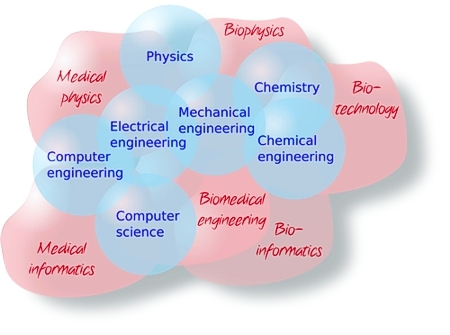 The majority of students who chose to pursue biomedical engineering were not formally trained as biomedical engineers, but were attracted by their interest in the field and the excitement of interdisciplinary and collaborative research. The Biomedical Engineering (BME) programs have evolved to become the Biological and Biomedical Engineering (BBME) programs. Please visit the following link for Master's program information. Please visit the following link for Doctoral program information.